the owner is really nice and friendly and the location of hotel is really good. The owners were very helpful. It is located just opposite the shore line though with rocks. But a small sandy beach is just a 100 yards away. Parking was good and there was little traffic noise. Our room was facing the sea and right in front is a pathway that runs along the shoreline that runners often use. But it is quiet. Friendly and hospitable staff (greetings to Yannis and Maria! ), excellent location (close to the restaurants, shops, beach), big room (which was always very clean) with a great sea view. Friendly welcoming staff, relaxed atmosphere, big rooms, nice and clean and location great near to some small beaches and near to town centre but v quiet peaceful spot and our room overlooked the sea a big bonus. Lots of space in the apartment. Great view from the balcony. The hotel is situated in a quiet area but not too far away for the hustle and bustle. The hotel is very good located with a big room and Maria and Janis are great hosts. Everything you need is very close: sand beach, restaurants, shopping, bus..... but still the hotel is not noisy. I had and exellent vacation and for sure I will be back. Lock in a great price for Arlen Beach Hotel – rated 9.6 by recent guests! Arlen Beach Hotel This rating is a reflection of how the property compares to the industry standard when it comes to price, facilities and services available. It's based on a self-evaluation by the property. Use this rating to help choose your stay! One of our best sellers in Hersonissos! 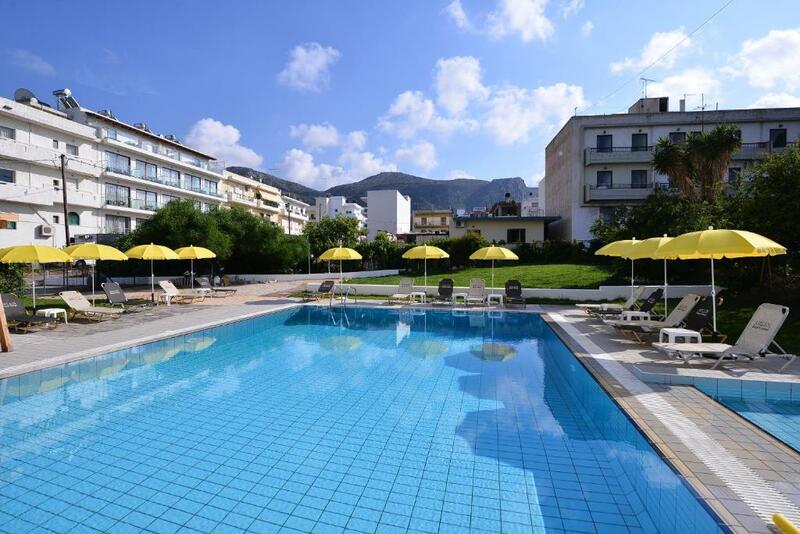 Located right on the beach of Limenas Chersonissou in Crete, Arlen Beach Hotel features a seasonal pool with a children’s section and a snack bar. 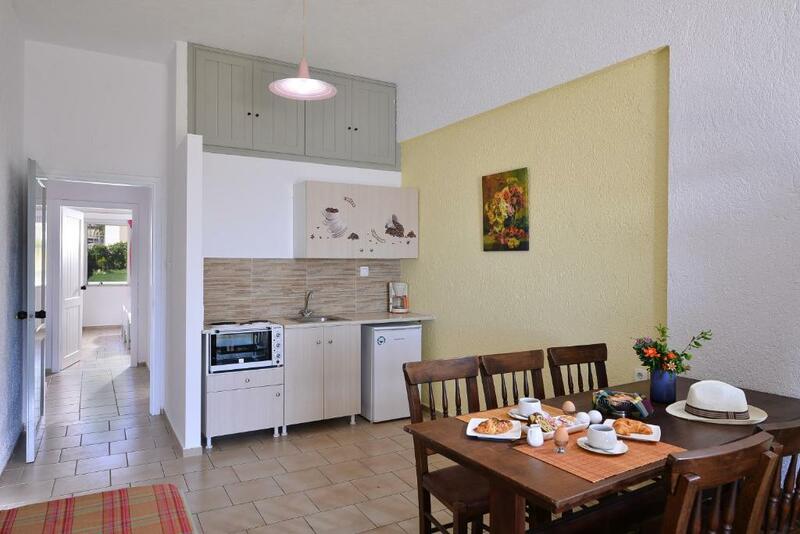 It offers free WiFi and air-conditioned studios with a balcony overlooking the Cretan Sea. Fitted with lively colors, the renovated studios of Arlen are spacious and airy. Each unit has a private bathroom and a kitchenette with dining area, fridge and a small electric oven. A TV with satellite channels is also available. Arlen Beach Hotel lies within a short walk from restaurants, bars and shops. Nikos Kazantzakis International Airport is 13 mi away and Heraklion City is at 16 mi. The archaeological site of Malia and the lively Malia Town lies within 6.2 mi from the property. Free parking is possible on site. Limenas Hersonissou is a great choice for travelers interested in nightlife, bars and restaurants. This is our guests' favorite part of Hersonissos, according to independent reviews. 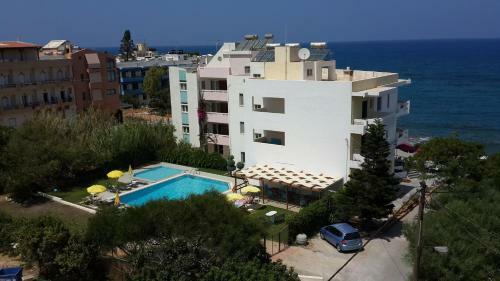 This property also has one of the top-rated locations in Hersonissos! Guests are happier about it compared to other properties in the area. This property is also rated for the best value in Hersonissos! Guests are getting more for their money when compared to other properties in this city. 뀐 Located in the real heart of Hersonissos, this property has an excellent location score of 9.7! When would you like to stay at Arlen Beach Hotel? -a hairdryer and an iron can be provided on request. Please note that this room type can accommodate up to 1 extra guests in an extra bed. -a private terrace with sea views. A hairdryer and an iron can be provided on request. Please note that this room type can accommodate up to 3 extra guests. Area Info – This neighborhood is a great choice for travelers interested in nightlife, bars and restaurants – Check location Excellent location – show map Guests loved walking around the neighborhood! House Rules Arlen Beach Hotel takes special requests – add in the next step! Arlen Beach Hotel accepts these cards and reserves the right to temporarily hold an amount prior to arrival. Please note that the swimming pool is open from 20 May until 5 October. We spent only one night in this hotel before our flight, but we really enjoyed staying there! It is very clean and comfortable. 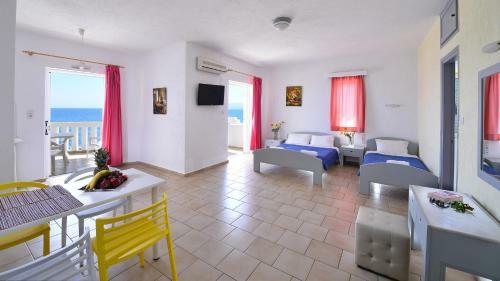 Spacious room and bathroom, comfortable beds and amazing sea view from the balcony. And what’s also important- big shower with GLASS doors! Not in many hotels in Crete you can find this! :) Also hotel has nice pools, one bigger, another smaller for children. Located basically on the beach and at the same time very close to the shopping street and all the restaurants. Owners are very, very nice and try to help you in any possible way. 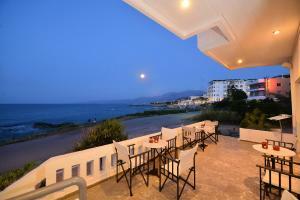 Excellent apartment with a large balcony and great sea view. The owners were great hosts, friendly, helpful and kind. Good facilities and nice pool area that gets tha sun most of the day. A wonderful couple who operate a friendly, professional, comfortable environment. It exceeded my expectations in every way.